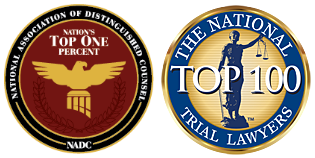 Top DUI & Criminal Attorney | Denver | Mastro, Barnes & Stazzone P.C. Our mission is to achieve the best possible outcome for our clients. When you have been charged with a crime, the law firm of Mastro Barnes, and Stazzone, P.C. is here to help. The effective help you deserve is here. Contact us today if you have been charged with driving while impaired. Our results speak for themselves. Learn more about our attorneys and our aggressive criminal representation. We have the experience and the results to help you through your case. Contact us today for your free consultation! Mastro, Barnes and Stazzone, P.C. (“MBS”) is a powerful, “trial-oriented” criminal defense attorney in Denver that is everything but stereotypical; even before you retain our services, you will quickly understand that “business as usual” has no place in this firm. Our firm has assembled highly skilled, aggressive and successful lawyers. MBS has been defending criminal and DUI cases for over 35 years. We will represent you with confidence and know how. At Mastro, Barnes & Stazzone P.C., we pride ourselves on not accepting typical results. Our integrity and knowledgeable early intervention “Gets Results”. Our mission is to achieve the best possible outcome for our clients. Our criminal defense lawyers do this by working harder, smarter and more aggressively to force the prosecution to get off its “business as usual” attitude and prove their case 100%. We will not settle for anything less. We provide professional, experienced DUI lawyers, criminal lawyers, and criminal defense attorneys in Denver, Colorado to help find solutions to your problems. We provide legal advice and representation in Denver as well as in Colorado Springs. We also serve you in Adams, Arapahoe, Boulder, Broomfield, Douglas, El Paso, Gilpin, Jeffco, Larimer and Weld counties.